THE MYSTERY OF CREATION: CAN SCIENCE AND RELIGION MEET? This is the transcription of a talk delivered by Prof. G Venkataraman on Radio Sai in 2005. Loving Sai Ram and greetings from Prashanti Nilayam. Today, I wish to speak about an interesting controversy raging currently in the United States. It is all about teaching biology. You might wonder what biology teaching has got to do with Spirituality, which is the topic that I normally deal with in these talks. It turns out that in this particular case, there is a lot of connection. In this controversy, on one side are the so-called scientists, and on the other side are people who take religion seriously. In my opinion, there is really no need for any controversy, but then, when one becomes narrow-minded, one can become swayed by prejudice and lose all perspective. 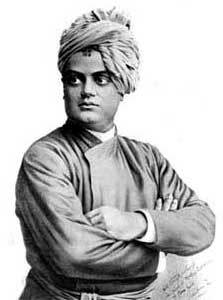 Swami often talks of Vishala Bhavam and Vishala Buddhi. What do these words mean? Very simply, they mean Broad Vision and Broadmindedness. The present controversy is the result of the absence of both. 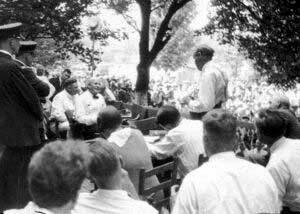 To start at the beginning, I must take you back to the year 1925, and to a small town named Dayton in the State of Tennessee in Southern United States. 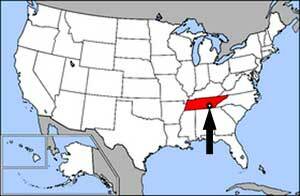 This State, along with many others in the South, forms a part of what is often described as the Bible Belt. The people in these States have, for a hundred years or even more, been used to taking religion, that is to say the Bible, very seriously. Very seriously means that they believe every single word of it, including the description of how God created the Universe, the beings, and man. Thus, according to these people, God finished creating everything in six days flat, and that there cannot be any question about it. On the face of it, this attitude might seem strange but then, there are often historical reasons for social behaviour. If you go back to the history of the immigration from England into America, you will remember that the people who came first were the Puritans. They felt they did not have the freedom in their Mother Country to practice religious austerity the way they wanted to. In America, they could do exactly as they pleased, and that exactly is what they did. I am not for a moment suggesting that Puritanism was perfect - far from it; but that imperfection is a part of history and we just cannot ignore it. America, we must remember, is really a huge country, huge by any standards, and in those pioneering days, people lived in small communities. Especially in the South, these people remained cut-off from all urban influences, and lived happily with their perception of life and religion, though it was flawed in many respects, for example, in aiding and abetting slavery. To get back to my story, when these God-fearing people discovered that in the name of teaching biology, the teachers were teaching Darwin’s Theory of Evolution, they decided to put their foot down. In the State of Tennessee, a law was passed that prohibited such teaching because it was in direct contradiction to the Bible. Encouraged by this, many other States were thinking about passing a similar law, when the Scope Trial erupted on the scene and produced deep convulsions. John Scope was a biology teacher in a high school in Dayton, Tennessee. Some civil liberties activists approached Scope and asked him to teach Darwin’s theory. They argued that State Law or no State Law, a course on biology would be incomplete without some reference to Darwin’s Theory of Evolution of Species. John Scope allowed himself to be persuaded, went ahead and taught Darwin’s Theory in the class. The public felt outraged, and Scope was charged with criminal intent and brought to trial. News about this immediately spread, and attracted the attention of many. The American Civil Liberties Union, which decided to support the defendant, initially wanted the famous science-fiction writer H. G. Wells to be the defence lawyer, but Wells showed no interest in the case. 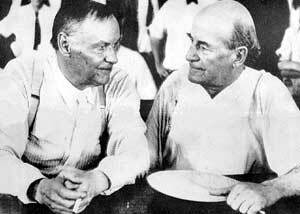 That was when a famous Chicago Lawyer, Clarence Darrow, jumped into the case. Darrow was over seventy, but so staunch an atheist that he decided to take the Southern Christian Fundamentalists head on. If the defence could line up star lawyers, so could the prosecution, which had in its corner William Jennings Bryan, a three-time Democratic candidate for President. As someone said, during the trial, Bryan transformed himself into a “Fundamentalist Pope”. With star lawyers getting into the act, naturally the trial of John Scope began to attract wide attention. Dayton, Tennessee became a tourist destination, and people flocked there to watch the fun. The town wore a carnival atmosphere with banners and lemonade stalls everywhere. Many chimpanzees were brought in, supposedly for testifying for the Prosecution, and they performed in a sideshow in Main Street. On opening day, a thousand people packed into the small Courtroom, and fearing that the building might collapse, the Judge moved the venue to the lawn in front of the building, where a tent was hurriedly put up. As was to be expected, there were fireworks right from the start when the Prosecution wanted the trial to begin with a prayer. Darrow objected fiercely, but was overruled. Bryan claimed that if Evolution won, Christianity would lose, while Darrow roared that it was not Scope who was on trial, but the whole of Civilization. 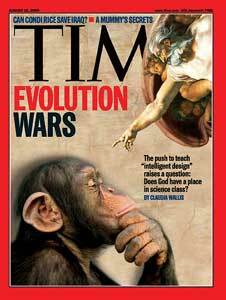 The Prosecution put many on the witness stand, mostly teachers and students, all of whom testified that John Scope did teach evolution. Darrow was quite soft and gentle with the witnesses. He was not interested in Scope’s acquittal; on the contrary, he actually wanted Scope to be found guilty. This might seem strange, but Darrow had a deep master plan. He knew that one could expect nothing but bigotry in a small conservative town. The matter was too important to be decided in a small court and really had to be ruled by the State Supreme Court or even the Nation’s Supreme Court. When it came to the turn of the defence, Darrow’s first witness was Dr. Maynard Metcalf, a professor of zoology in Johns Hopkins University. The prosecution objected to Dr. Metcalf being introduced as a witness, but the Judge overruled. Bryan therefore decided to mock the professor. He said that the witness was not merely saying that man descended from monkeys; what was even worse was that man descended not from American monkeys, but old world monkeys! However, in the end, the Judge ruled that the entire evidence of Dr. Metcalf was inadmissible. This angered Darrow who made some caustic remarks. The Judge asked, “I hope you do not mean to reflect upon the Court?” Darrow replied with a tinge of sarcasm, “Well, your honour has the right to hope!” The Judge retorted, “I have the right to do something else.” Realising he might be held for contempt, Darrow apologised and shook hands with the Judge. Darrow next put Bryan himself on the witness stand and then began the battle between titans. Bryan sought refuge in the Bible, while Darrow used every known courtroom trick to show Bryan in a poor light. It was a debate that Darrow won. The whole thing was so bizarre that the New York Times described it as the most amazing spectacle in Anglo Saxon history. It was time for the two sides to sum up their case. Where Darrow was concerned, he wanted (as I have already explained), a guilty verdict. He presented the case to the jury in such a manner that the accused was pronounced guilty and fined a hundred dollars. Darrow immediately went on to appeal to a higher Court, which quashed the verdict. However, it was on technical grounds and not on constitutional grounds as Darrow had hoped for. Anyway, the point was made and the Creationists, as they were called, went into retreat. All this happened way back in 1925 but among the faithful, the fire was still kept alive. Meanwhile, in the mid-fifties, a film was made on the Scope trial, with Frederick March, famous for his role in Dr. Jekyll and Mr. Hyde playing the role of Bryan and Spencer Tracy playing the role of Darrow. I have seen the film and it was a memorable one. In 1975, the scientific community in America celebrated the fiftieth anniversary of the Scope trial. I think I have said enough about this amazing episode, and now, let me say a few words about Charles Darwin himself and his theory. 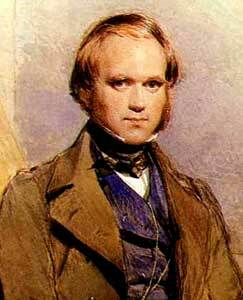 Charles Darwin was born in England in the year 1809. As a boy, he did not show any extra-ordinary talents. At the age of 16, he was sent to Scotland to study medicine but young Charles found medicine to be rather dull. Instead, he spent a lot of time attending lectures on natural history. His father then suggested that Charles study for the clergy, and that was what brought him to Cambridge. Here again, Charles Darwin spent more time on subjects not connected with the course he was enrolled in. Darwin struck up a friendship with one John Henslow, a professor of zoology, and held long discussions with him. Ultimately, it all ended with Henslow recommending Charles Darwin to the post of Naturalist on the expedition ship HMS Beagle that had been charted for a five-year voyage of mapping and collection of specimens. 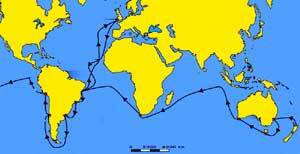 During the five-year trip, Darwin suffered from seasickness. The Captain of HMS Beagle would therefore drop off Darwin in different places and pick him up later. Charles Darwin was thus able to explore in depth and collect many specimens. His most extensive studies were made in the island Galapagos off the west coast of South America. A lot of thinking followed, and finally in 1859, Darwin published the famous book: On the Origin of Species by Natural Selection or the Preservation of Favoured Races in the Struggle for Life. The essence of Darwin’s theory might be stated as follows: In the beginning, there was one living being – the ancestor of all of us. Darwin assumed this. being was far from complex. From this being emerged, in due course, other species, of greater and greater complexity, species that were better suited to survive. Now how did this happen? Darwin suggested that it was due to random mutation of the genes. When genes of a species suffer mutation, it leads to the emergence of another species, with slightly different characteristics. So from one species, there come a family of species; these then compete for survival, and the fittest species emerges as the victor. And once again, mutation, more descendent species, competition for survival, and finally a victor. This goes on and on for millions and millions of years and at the end of it all we have fishes, amphibians, birds, mammals of various kinds, monkeys, and finally man. We must remember that Darwin did all his hypothesising in the middle of the nineteenth century when Science was yet to cross many, many new frontiers. In effect, it was a broad-brush theory. Of course, Darwin himself made additions and subtractions later, but in spite of it all, at the time of the John Scope trial, Darwin’s Theory still had huge gaps. Yet it provided a plausible, scientific framework, and that was what excited biologists. OK, let us move on and come to say the sixties of the twentieth century. By this time, many developments had taken place in the field of Science. The most important from the point of evolutionary biology was the discovery of the molecular structure of DNA by Crick and Watson in 1955, for which they duly received the Noble Prize. Thanks to this, one could now talk about mutation at a molecular level, which of course made a lot of sense. The second important development concerned intensive studies on the origin of life itself. You will recall that Darwin assumed a primitive ancestor. Where did this ancestor come from and how? 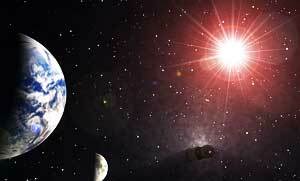 It was known by then that the age of the Universe was around fifteen billion years, the age of our earth is about five billion years, and life probably first appeared on earth about four billion years ago. The question was, how? This made scientists go back to the condition that existed on the face of the earth four billion years ago. They had a reasonably good idea of the nature of the atmosphere, which, incidentally, was very different from what it is today. Believe it or not, there was little or no oxygen then. 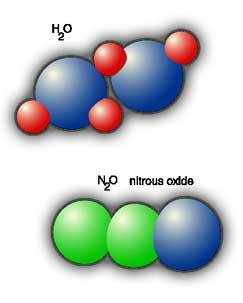 But there were various other gases like methane and so forth. So people started doing experiments to see what would happen in such atmospheres if there were powerful lightning discharges. They found that a huge variety of complex molecules would be formed in the atmosphere, which would then come down with rain - methane rain perhaps - and get into the ocean. Thus, in due course, the ocean was expected to be teeming with all kinds of molecules colliding with each other constantly. Now, when molecules collide, many things could happen. They could, for example, break up. But they could also combine to form a bigger and more complex molecule. It was then hypothesised that this process of constant collisions threw up one day, purely by chance, a big molecule that contained life. This raises the question: What exactly is life? We still don’t have a precise scientific answer to this question but in those days, most people went along with Academician Oparin of Russia who said that a living entity must exhibit three characteristics: Firstly it must exhibit metabolism, meaning it must take in high-grade energy and, after using it, throw out the waste as low-grade energy. Next it must grow, then decay, and finally die. In addition, it must be able to reproduce. This was a reasonably good working definition and this is what most people accepted then. 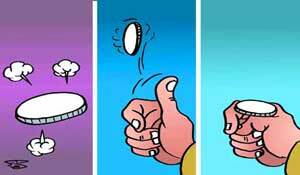 Life: A Matter of Probability? OK, has anybody been able to find anything definite about this primordial and prehistoric ancestor of ours? The answer is NO. The speculation still remains but meanwhile, many people have questioned the entire idea on purely probabilistic grounds. These people simply said, “Let us assume that indeed, due to random collisions, a living molecule was produced about four billion years ago. But let us do a little calculation involving collisions and check how long it would take for such a chance event to occur.” When that mathematics was done it was found that it would take a billion times the present age of the Universe. Let us pause and absorb the whole argument. There are three points to consider here. The first is the outcome, the second is the process by which the outcome is realised, and the third is the probability. In this case, the outcome is the production of a living molecule in the ocean of those times, which is often called the primordial soup. As for the process, it is, as I have already mentioned, random collisions. Lastly, there is the probability business. That raises the question: “Where then did Darwin’s ancestor come from?” Hoyle has madesome interesting suggestions concerning that but I shall not get into that topic here. Let me move on to other aspects. Let me get back to the DNA, to which I made a brief reference earlier. This molecule, whose full name - de-oxyribo nucleic acid - has a remarkable structure: that of two spirals twisted around each, with innumerable steps linking them. 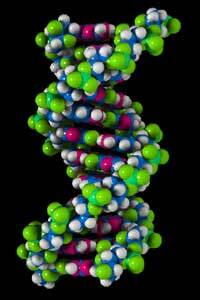 DNA is sometimes called the molecule of life, and with good reason. DNA gave genetics its backbone and brought it down from the macro to the micro-level. Naturally, the discovery of the structure of the DNA spurred evolutionists to look at Darwin’s Theory from a molecular point of view. No doubt, this has lead to huge leaps in understanding, but many questions and big gaps still remain. I am not an expert in this topic and I obviously cannot go into the details. But I can certainly point out some of the issues. By and large, most people seem to be convinced that Darwin’s Theory with all its modern nuances, does offer a concrete framework for understanding evolution. But, difficulties that cannot be swept under the rug include the question of the primordial ancestor, to which I have already made a reference. There was the additional question of random mutations followed by natural selection. I went over this rather quickly earlier; maybe I should say a few more words at this juncture, because it is an important issue. In Darwin’s Theory, species ‘B’ say, emerges from parent species ‘A’, through random mutation of the genes of A. Along with B, there may also be species ‘C’, ‘D’, and so on. All these newly emergent species, B, C, D etc., would be similar to their ancestor species A, but also different in many respects. Now all these species would compete for survival, and eventually, among the daughter species, that which is best suited to survive would actually survive. This is the basic idea behind the survival of the fittest hypothesis. This is where a new element has entered the picture and that is what has revived the entire Creation debate that raged fiercely in the US in the nineteen twenties. Before I describe this new twist, I must say something about what is known to mathematicians as biased random walk. The question arises, what is this path, if any, and what is directing the arrow? The proponents of what I call directed evolution have an answer for that. They say, “You want to know what that path is? Very simple: Evolution tends to take place in such a manner that whenever a new species emerges, it generally tends to have greater complexity. And in the long run, species evolve towards not only greater complexity, but more so towards greater intelligence.” This idea is known as INTELLIGENT DESIGN or ID for short. The essence of the ID hypothesis is that there is an agency out there with intelligence that is driving evolution along a particular path. Thus, evolution is by no means the result of endless purely random occurrences. Most likely, it is due to biased random processes, the bias originating from ID. Now ID is an interesting idea and one would have thought that its arrival on the scene would merely have led to a debate between the Darwinian Evolutionists and the ID supporters. Actually, the scientific community ignored the ID supporters and ID should have disappeared with a whimper, as they say. But that is not what happened. Why? Because some supporters of ID decided to take their battle to the schoolroom. This is roughly the way it happened. In America, they have committees that decide on the textbooks that would be used in schools. These committees include not only teachers, as is only to be expected, but also others, like the representation of parents, state education officers, and so on. This is where the ID lobby made its entry. Basically, the ID supporters said, “Listen, for so many years, we have been teaching Darwin’s Theory to our students. This is supposed to be science but it has huge holes; it is an incomplete theory. We cannot have our students exposed to half knowledge. They must be given an opportunity to know the great deficiencies of the Darwin Theory, and how the ID Theory offers a way out of an important crisis.” As is to be expected, there was an intense debate, sometimes noisy I suppose, but the net result of it all is that many States, like Pennsylvania and Ohio, for example, ruled that ID must be taught along with Darwin’s Theory, so that students will get equal exposure to both ideas and could make their choice based on which theory they believe in. Well, no matter what the ID camp says, the fact is that all the “intellectual” magazines, newspapers, science magazines, etc., have unanimously debunked ID. Some of the scientists have been particularly aggressive and sometimes even abrasive. The attack is on God rather than ID per se. 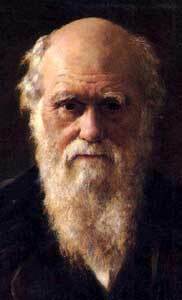 Perhaps the most vocal spokesman for the Darwin Theory is Richard Dawkin of Oxford University. Born in East Africa, Richard Dawkin is a zoologist, who is a passionate advocate of the Darwin’s Theory. Dawkin prides himself as being the world’s Number One Atheist, and not surprisingly, he has been described as the Devil’s Chaplain. I guess I have given enough of a sample of how vitriolic the atheist/scientist can be. By the way, let me hasten to assure you that not all scientists are like that. I am a scientist too, but unlike the Oxford Don whom I have quoted, I believe in God and I also love God dearly. You might at this point say: “All this story telling is fine, but what have you got to say about this indecent and highly objectionable God-bashing that scientists are doing? Why has Science turned so evil?” and so on. Good point, and I have an obligation to say something on this matter before I wind up. First and foremost, I would like you to make a clear distinction between Science and Scientists. People often mix up the two; that is wrong and the distinction that I have called attention to is very important. You see, Science is Knowledge; it is knowledge about the Universe, the Universe that God created, the Universe that we all live in. It should be obvious then that Scientific Knowledge cannot be bad per se; that means we should not blame Science. It is just a set of facts or truths - call it what you will - about the Universe. These facts are valid, whether one believes in the existence of God. Now if we accept that it was God who created the Universe, then it follows that the knowledge relating to Creation also cannot be bad. In short, let us not blame Science as such for our problems. What about scientists? Ah, here the situation is very different. Consider two people, one a doctor and the other a criminal. A doctor uses the knife to heal while a criminal uses the same knife to wound. Should one blame the knife or the person holding it? In the same way, blame scientists as much as you want and not Science. By the way, if you blame scientists, then I am with you all the way; today’s scientists are absolutely blind and why on earth should we be lead by blind people? Getting back to the schoolroom debate for a moment, the scientists’ lobby says that ID is at best a philosophy; so, let it be taught as unverifiable philosophy and not as science. But one intellectual has asked: “Why is science totally preoccupied with the object it is studying? Why does it not ask something about who is the one who is studying science? How is this scientist able to cognise? What is consciousness?” Most scientists dodge this question or dismiss it with contempt as irrelevant and meaningless. At this point, I must also caution you. Don’t imagine that all scientists are atheists. 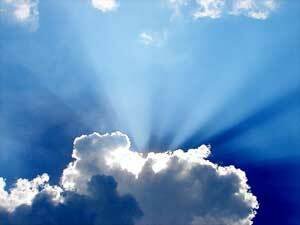 Many distinguished scientists have believed strongly in God. 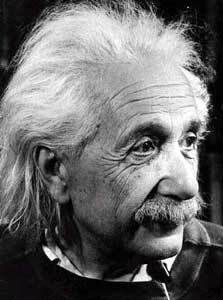 Einstein, for example, saw God as something beyond the Universe, a mysterious force that filled him with awe, wonder and joy. He believed in God. Charles Townes, who got the Noble Prize for discovering the principle of the maser, the laser, and for building the first maser, said that Science explains the how of the Universe while Religion explains the why of the Universe. And then there was Abdus Salam, the Pakistani physicist who won the Nobel Prize for his work on electro-weak unification. I had the pleasure of meeting Salam once. He was a very religious man, and when a Westerner asked him how, he a scientist, could believe in God, you know what he said? This was his reply: “I do not see any contradiction. Science is all about the outer world whereas God is all about the Inner World.” So you see, not all scientists are disbelievers. OK. Now to the next question. Is there any contradiction between Science and Religion? I would say that in dealing with this question, we must make a careful distinction between Spirituality, Religion and Theology. Spirituality provides the basic foundation. It deals with the real basics such as the Soul, Consciousness, etc. I personally believe that Spirituality as I see it, rises above traditional religion. Indeed many scientists are willing to admit that while they do not profess any particular religion, they are Spiritual. Religion, I maintain, is largely Applied Spirituality, shaped to a large extent by social and other such factors associated with the time of its emergence and the region where it took root. Theology is a kind of bridge between Religion and Spirituality; in other words, it is an attempt to understand the principles of Religion by giving it a Spiritual and Philosophical base. There is a reason why I am making all these distinctions. The point may be better understood by recalling what Swami Vivekananda once said. He declared that where Indian scriptures were concerned, he believed in the Upanishads, the Vedas and the Puraanas, in that order. In other words, he had greater belief in what the Upanishad said than what was written in the Puraanas. This is typical of the attitude of an intellectual, and we must make an effort to understand it. Take the Ramayana, for example. People in India have absolutely no difficulty in accepting everything in the Ramayana as absolutely true, including Hanuman, the so-called Monkey God. People in other countries might accept the basic teaching of the Ramayana, namely that one must abide by Sathya (Truth) under all circumstances, but might shake their head when it comes to Hanuman. There are thus two points of view but there is no clash or conflict; each group holds on to its belief and there is no fight. Now consider the description of Creation in the Bible. I personally do not find anything objectionable about it. To me, it is a beautiful allegorical description of how the Universe came into being. I love the statement: “God said let there be light and there was light.” Some of you might have listened to a series on Radio Sai presented some time ago on the Purusha Sukhtam. As was pointed out in that presentation, the description of Creation given in the Purusha Sukhtam is not to be taken literally but as a poetic and allegorical description. The problem that has arisen in the United States is largely the result of religious fundamentalism acquiring political clout. When that happens, there can be fireworks. To put it mildly, this controversy is more the result of narrow-mindedness rather than any problem with either the Bible or Science. In fact, like the Bible, mythologies everywhere have colourful descriptions of how God made man and beasts. Yet, is there any controversy raging elsewhere? No. By the way, even Science has its quota of unbelievable scenarios. 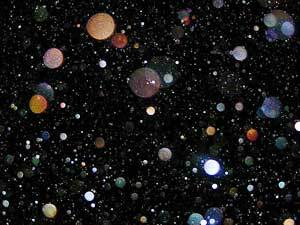 For example, according to modern theories of the Universe, there can be parallel universes! This is the many-universe theory. Let us say there is a person who is travelling in a plane in our universe. The plane crashes, but this person survives. In a parallel universe also there is a crash and in that the person may die! I mean this kind of bizarre scenario is possible according to modern physics, and people accept it. Why? Because it is all backed up by fancy mathematics! All this reminds me of the core of Vedanta’s teachings: what seems real is unreal and what seems unreal is real! One common objection raised by scientists is the following: “Listen. Science has predictability that can be tested. If a prediction is proved false, then Science drops that hypothesis. Your religion has no predictability. It is thus nothing but junk.” Well, there is no point in arguing such points with the diehards. One thing we must remember: Science deals with that which is BELOW Space and Time and is restricted to what we can cognise with the senses. Spirituality, however, is BEYOND the senses, and TRANSCENDS Space and Time. As of now, scientists do not have the wisdom to see beyond Space and Time, while Spirituality cannot be reduced entirely to Space and Time, obliterating the higher dimensions. So, one need not be unduly perturbed by the self-appointed chaplains of the devil. Great story, is it not? Jai Sai Ram.